Apple keyboard in one seamless motion. This $69 wireless device, which will be available in the US starting tomorrow, works with any Bluetooth-enabled Mac and can be connected from a distance of up to 30 feet. To conserve battery, it detects periods of inactivity and even has a dedicated on-off switch. Apple has stated that Magic Trackpad will operate for "months at a time" without the need to replace the AA batteries that power it. 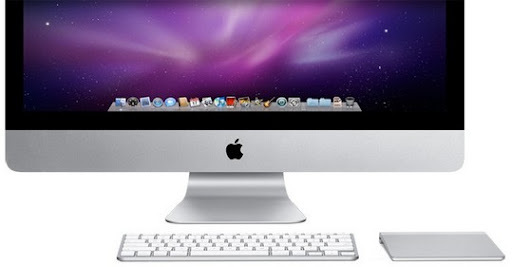 Like what can be done on a Mac using the Apple Magic Mouse, the Magic Trackpad supports standard multi-touch gestures -- including pinch to zoom, two-finger scrolling, three-finger swiping and rotate. You can also Expose or Switch between applications using four fingers, a gesture previously available only to trackpad of Apple's notebooks. Also, Magic Trackpad will support an exclusive new three-finger gesture that will let you to quickly drag around windows. Note that your Bluetooth-enabled Mac has to be running Mac OS X Snow Leopard 10.6.4 and the latest software update before you can use the Magic Trackpad. Can the trackpad altogether replace the mouse and render it obsolete? For those who use their computers to process word documents, browse the net and read stuff, maybe. But for graphic designers who use the mouse as a precision tool, I don't think so.